so i visited Singapore recently and all my friends have suggested me to the salted egg yolk chips/fish skins because they are the recent hype nowadays! and to my shock, yes! they are everywhere and a good variety of brands as well. but I hadn't had much time to really explore the options - so I went to try out for the 2 prominent ones that you can tell are probably a fair contender for this showdown. 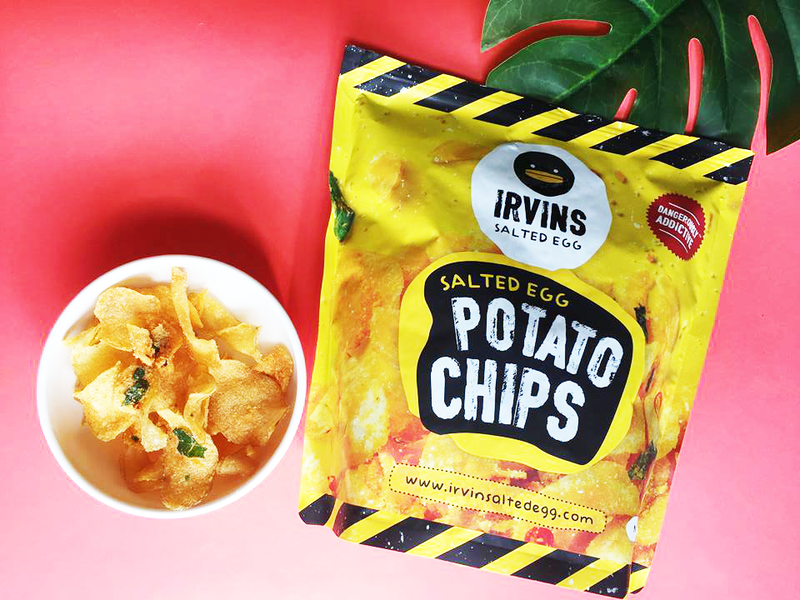 we have IRVINS Salted Egg Potato Chips! it took me a good 45mins queue for this purchase. and the people in front of me was buying 5-6packs each! it was sorta impulsive to me. it was my first try and I guess i might have regretted buying this limited amount. but it was also quite pricey among the competitors available. well, we shall see how it is so famous or its just because of the hype! because not only is the queue crazy, they sell off within the hour of delivery and it gets me super curious in what is in these bags of chips?! definitely love the marketing strategy and their packaging, the graphics is spot on and i enjoy the creative side in creating that cute mascot they have. cute, yet edgy! the branding totally leaves an impression, which i think explains the queue and hype. they are selling at SGD16 for the large pack! thats around RM46+~! god save my wallet pocket. The Golden Duck - Gourmet Salted Egg Yolk Potato Chips! had recommendations for this brand and is to believe a well distributed brand! 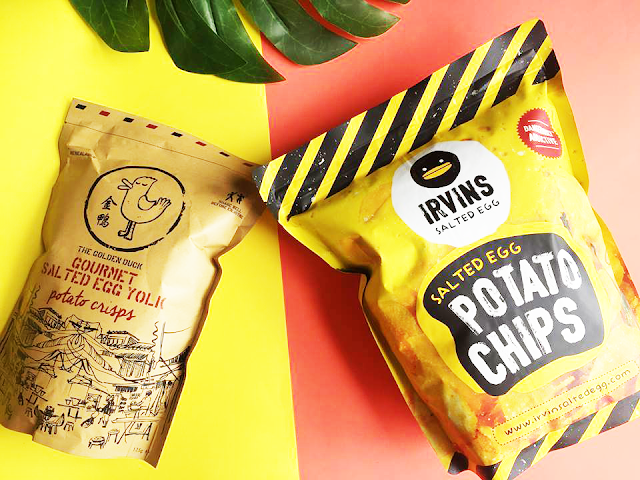 this brand can also be seen sold out in many places, but its available on the shelves of most supermarket and convenient stores, they have them 7-Eleven! the website is nicely clean-cut and simple to navigate! kudos to keeping that Asian feel to the design and details too. the packaging is not as eye catching as IRVINS, but a fair simplicity of brown that gets them stand out just as much! they are selling at SGD7 for their standard pack. thats around RM20+~! cheaper but still burns the wallet for potato chips. 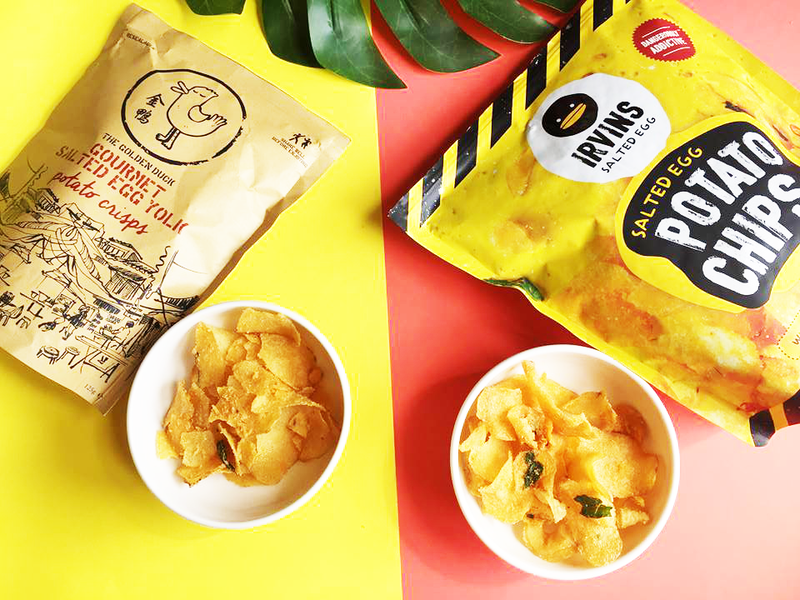 to be honest, they both tasted pretty similar with the strong salted egg seasoning while the potato thins and textures are probably my determining factor. so here's the verdict! IRVINS : A good equal amount of coating and salted egg taste. I like the fact that the potato taste is still prominent even though the seasonings are so strong! Plus point for being super light and crispy! GOLDEN DUCK : Has a stronger curry leaves and spice taste - if you have more you can actually taste the chilli and curry leaves. just as equally coated, but the crisp in the potato might have lacked that extra crisp! as expected, the content is 50% of the package. 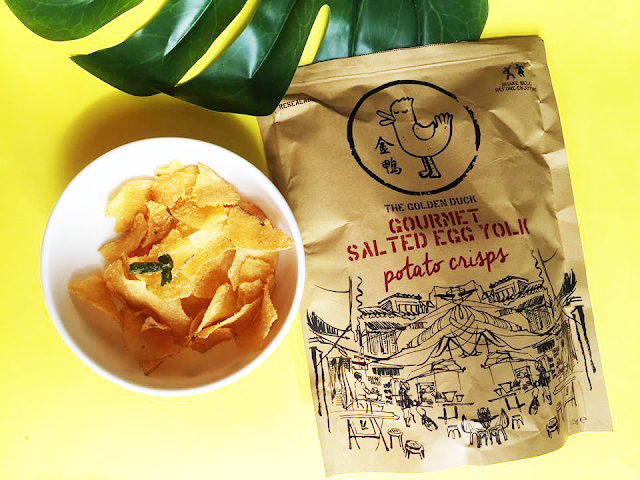 In regards to this, I'd say Golden Duck might be a better option if you are craving the taste but do not want to burn your bank. both comes in resealable zips on the packaging. and are well packed to make sure the yummy goodness inside is still addictive. 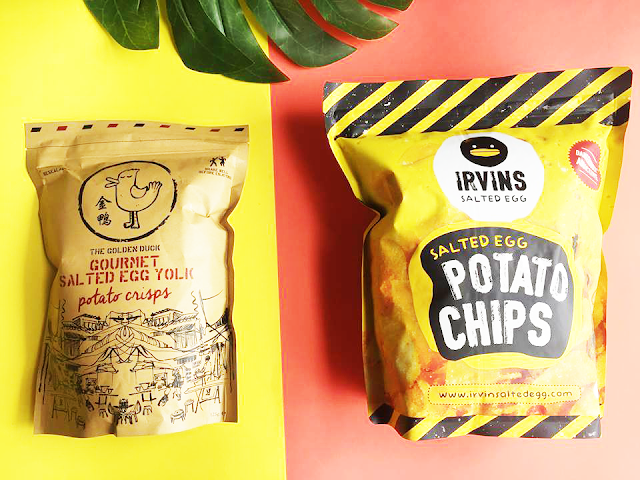 However, IRVINS wins as they have smaller pack versions that might be more suitable for people to munch on individually, while Golden Duck has a standard package which i'd believe its better to share. yes. 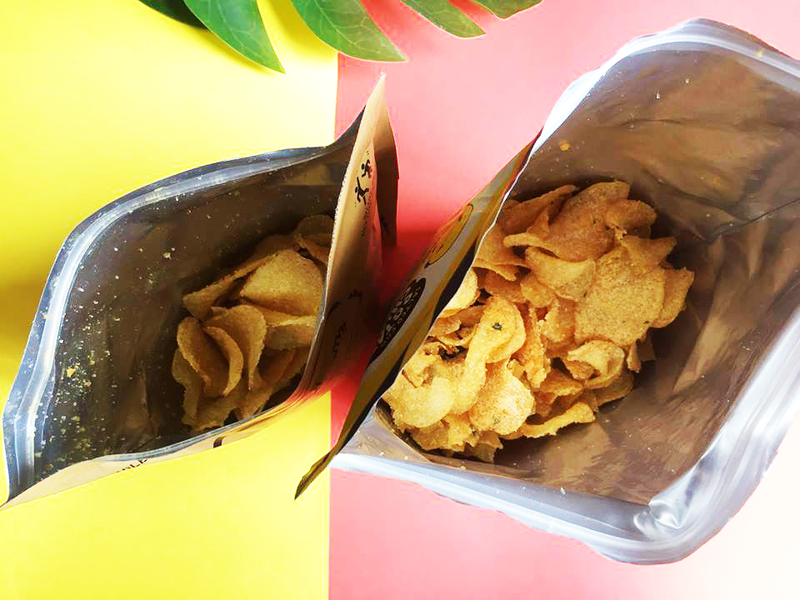 the bigger packs might be more affordable but if you are not sharing, it might be too much your taste bud can handle. I obviously had a handful and is already out and looking for refreshing drinks to clear up. "nope. atleast not until the next 3-5months"
its definitely the hype going around that got everyone crazy for these goodies, they are really really tasty and might really get you addicted to it. 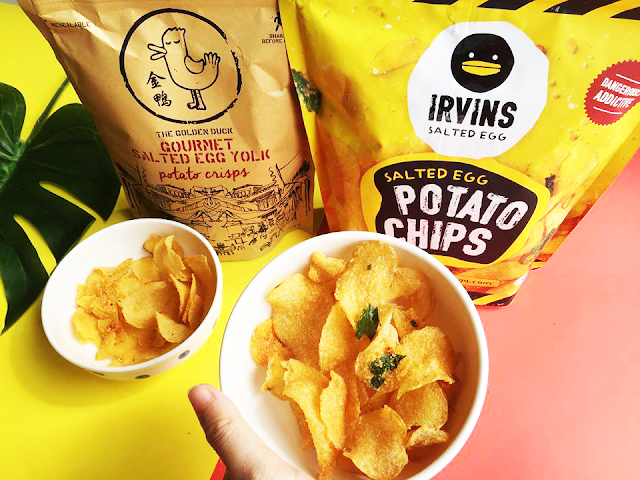 but might not be long until you give up eating because of the strong salted egg taste. i'd probably won't be buying these until the next 3-5months. Main reasons being the price, but on personal thought - you can still find homemade recipes that might have cost much more less. would you line up for 45minutes to get these? milk & rice has been pretty well known for skincare ingredients. I am always on the look out for the right cleanser for myself, it's really important to find the right one. i've gotten advices from friends and even facial advisors that it is important to keep our face hydrated. 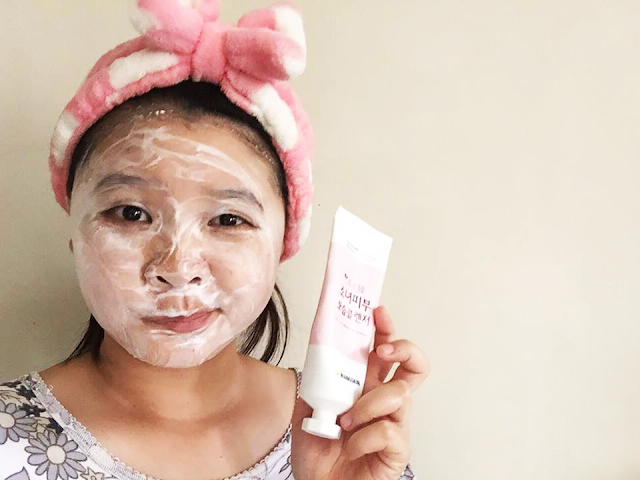 anti-wrinkle and brightening formulas are not core focus and sometimes its unecessary to the skin, because as we used them in the early age, we are exposing our skin to chemicals. Hence! keeping them hydrated and clean is a really good basic that should be enough for us! of course follow up with toner and mosturizers. 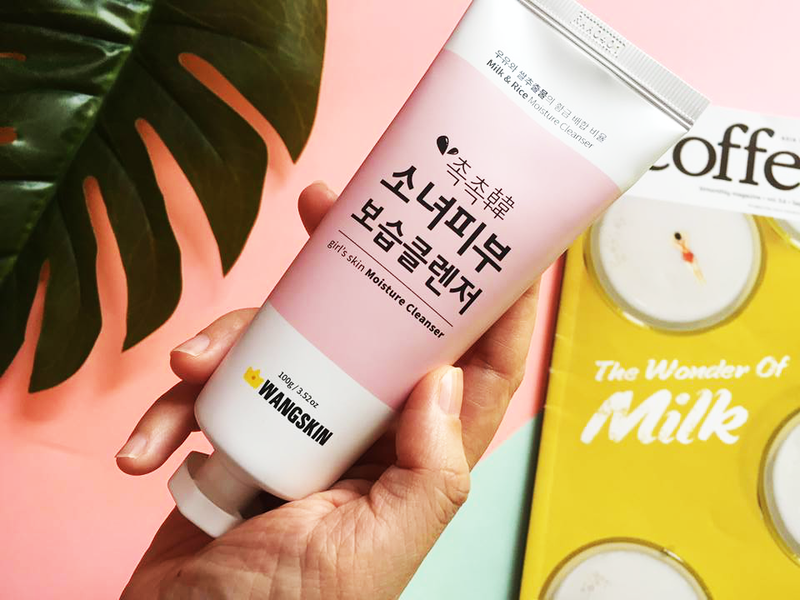 Wangskin's girl skin Moisture Cleanser! which i got this at a really affordable price on Althea during 11.11 sale! but it seems to gone in most of the k-care online shops now. to be honest i was sold from the packaging because i like how it looks like paint tubes. but that's not important! 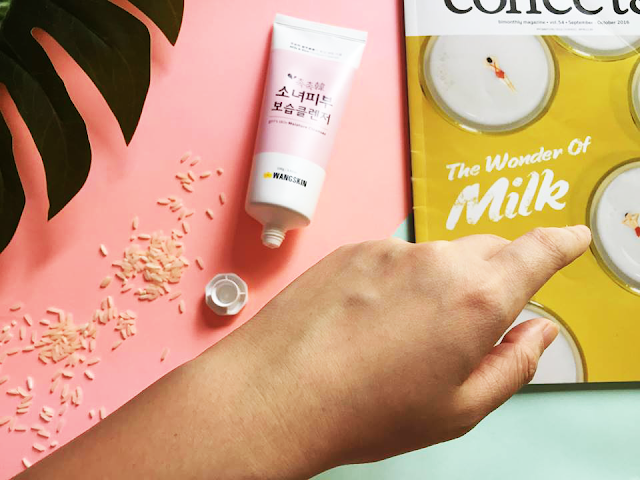 did you know rice and milk are really good for the skin? my aunt used to recommend us to keep the rice water we get when we wash our rice before we cook them, as embarrassing as it sounds. I honestly tried it a few times wayy back my school days out of curiosity and it really does have an effective bouncy after feel. tried and tested just a few hours ago again just to make sure i wasn't hallucinating or being stupid. now, now. rice water seems to promotes cell growth, stimulates blood flow, and helps keep your skin smooth and bright. it also has a natural whitening use and high in antioxidants! 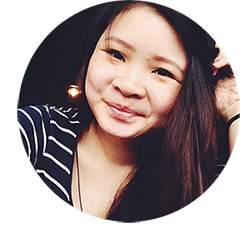 Courtney at Bustle also tried washing her face with Rice water for 1 Week! 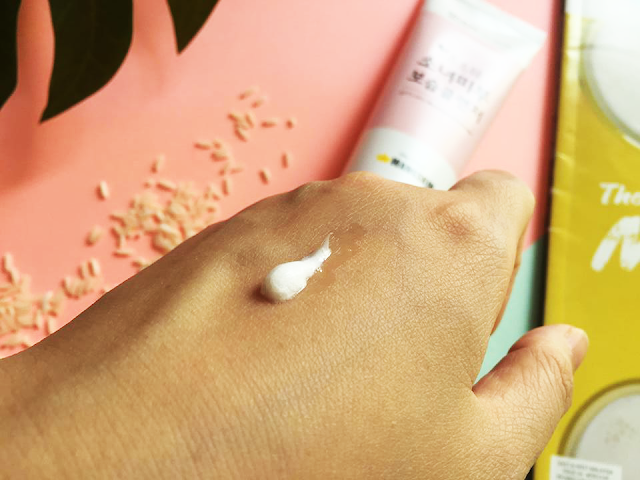 here's some more the Beauty Benefits of Rice Water from One Good Thing and The Beauty Gypsy. 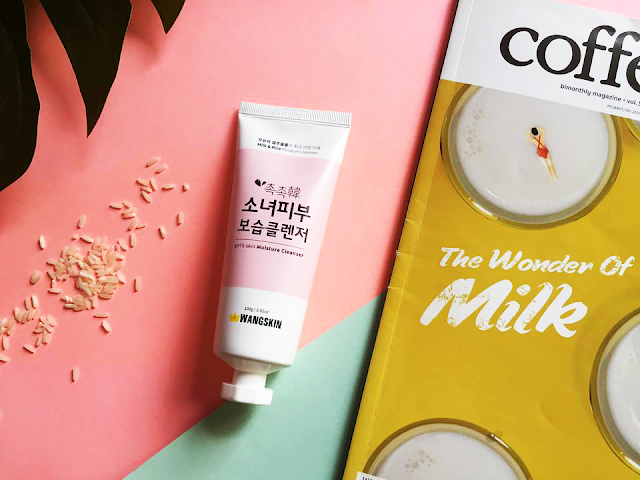 milk work to reduce wrinkles and boost collagen while smoothing skin overall, especially if you have dry skins, its very moisturizing! and here's more Milk Benefits from dermatocare. Although the milk aspect has been already known to many where i see people have milk baths and all. its thick and as you wash it with a wet face, it gets foamy, not too foamy though, as u can see i did a wash test on my face, as u massage you'd get more white foams. but it wont be very bubbly. its a sticky feel to the foam, but washing it off with a sponge would be easier. yasss to soft squickyy feeling! to be honest i tried alot of face wash before and i dont like it if it leaves a uncomfortable oily feeling most of them are cream based hydrating too. but i'm never a fan. so this squicky clean after feel i likey! and I can immediately feel the softness on my first try too! powdery and milky, it also leaves a mild after smell after you've washed off. yes! with consideration to cost. I personally liked the after feel to it, and 1 tube lasted me 3months use with an everyday wash routine. but i'm not all stuck on to it, because there wasn't any wow factor to repurchase on a loop basis. i am sure there is much more face wash to explore until i find THE ONE. here's a look of the after results of my hand swatch. you can tell its softer! hope this review helps curious people who are looking for a change in face wash! I am down to almost the last few washes, any recommendation for my next face wash explore? leave a face wash recommendation down in the comments and i might give it a try!